Takeaway: Prescription drug use in the workplace can have significant safety impacts. What do these written warnings mean for employers? Can they affect a company’s drug and alcohol policies? With the American with Disabilities Act (ADA) limiting an employer from asking about medical conditions and treatment, including use of medications, it can be a challenge to determine the possibility or extent of prescription drug abuse in the workplace. 50% of Americans have used a prescription drug in the past 30 days. 23% have used three or more prescriptions in the past 30 days. 75% of visits to physicians result in some type of drug therapy. The most commonly prescribed medication, whether from a physician’s office, outpatient clinic, or emergency department is some form of analgesic or painkiller. When used for any purpose other than prescribed, abuse can occur. (Learn more in "A Look At Prescription Drug Abuse Statistics".) Opioid prescriptions, developed for pain relief, are the primary source of the growing drug abuse crisis the in the United States. Depressants (tranquilizers and sleeping pills) are second, followed by stimulants, often used to treat attention deficit hyperactivity disorder (ADHD). About 75 percent of Americans with substance abuse disorders, including abuse of illicit drugs and addiction to pain medication, are employed. These workers miss almost 50 percent more work—up to six weeks a year—than non-affected employees. Yet, employers have been reluctant to address the issue. Although 70 percent of companies admit to drug-related issues ranging from absenteeism to overdose, only 39 percent considered prescription drug use as a threat to safety. Only 24 percent agreed that it is a workplace challenge, even though costs for an addicted employee are three times higher than average. More absenteeism or sick leave. Drop in production or efficiency. Tardiness or sleeping at work. Unfortunately, there can be no questioning of employees about their medical conditions or medications unless there is evidence of an inability to perform essential job functions, or if there is a direct threat to the safety of the employee or others. Further, the risk must be evaluated based on objective criteria, not just suspicions or gut feelings. (Learn more in "What is Considered Reasonable Suspicion? A Look at the Criteria for With Cause Drug Testing in the Workplace".) The employer may also be required to determine if the risk can be reduced with reasonable accommodation. An employer can discuss concerns with an employee, such as changes in attendance or job performance, and ask if there is anything that is preventing the employee from returning to previous work behavior. If the employee admits to misusing or abusing prescription drugs, possible means of assistance or accommodation should be considered in order to allow the employee to retain his or her position. An employee taking just one opioid costs four times as much in workers’ compensation claims. More than one week’s supply of prescription opioids immediately following an injury doubles an employee’s risk of disability up to one year later. Both employers and insurance companies can be financially responsible for an overdose fatality related to a workplace injury. Opioid prescription drugs can hinder an employee’s recovery and return to work. Understanding the financial impact of employees who abuse substances. Review and update current workplace drug policies to include prescription drugs. Include prescription opioids in drug screening. Provide specific training for supervisors to identify signs of abuse. Educate all employees about the dangers of prescription drug use. Include Employee Assistance Programs to assist affected staff members. Prescription drugs were designed to provide specific treatment for patients, under the careful watch of a medical provider. 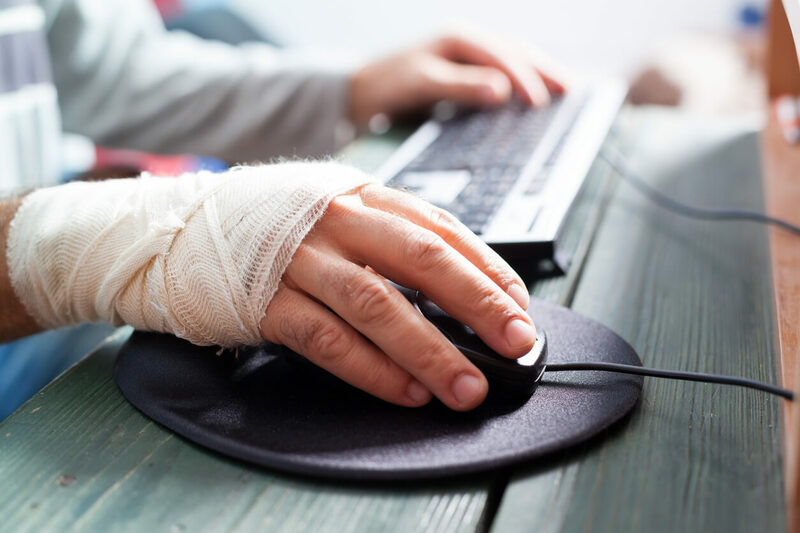 As abuse has reached epidemic proportions, employers can reduce their liability and risk, while offering employees a compassionate way to recover. Will urine drug testing show a false positive from my prescription medications?